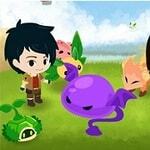 Battle against monsters in game Battle Monster RPG. Win fights and buy to itself new pupils to become even stronger! To make attack, it is necessary to combine 3 and more abreast identical figures.